Heat is not only a synthesizer with a beautiful sound. Mainly targetting Android devices, the synthesizer can be fully integrated as VST plugin to be used in the sequencer of your choice. Design sounds while on the way, store sounds on your local Android Device or use the Collaborative Preset Manager to store your sounds online, making them available to everyone. Use the Collaborative Preset Manager on your Android Device to select from a big variety of sounds, made from other users all over the world. 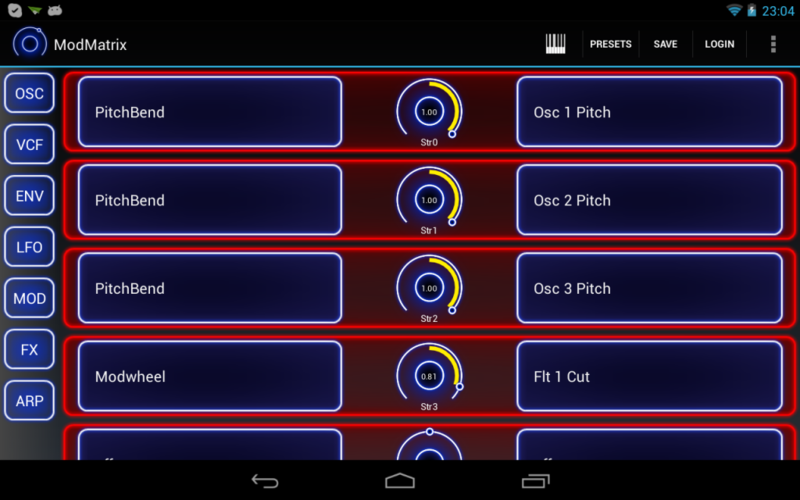 Select sounds on your Android Device, while connected, they are immediately loaded by your VST plugin. 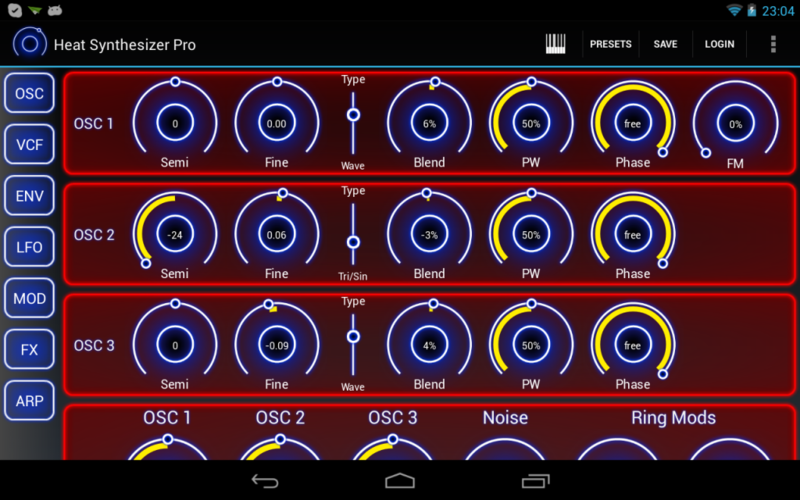 Heat Synthesizer is available on Google Play as Demo and Pro version. The VST plugins are available in the Download section. 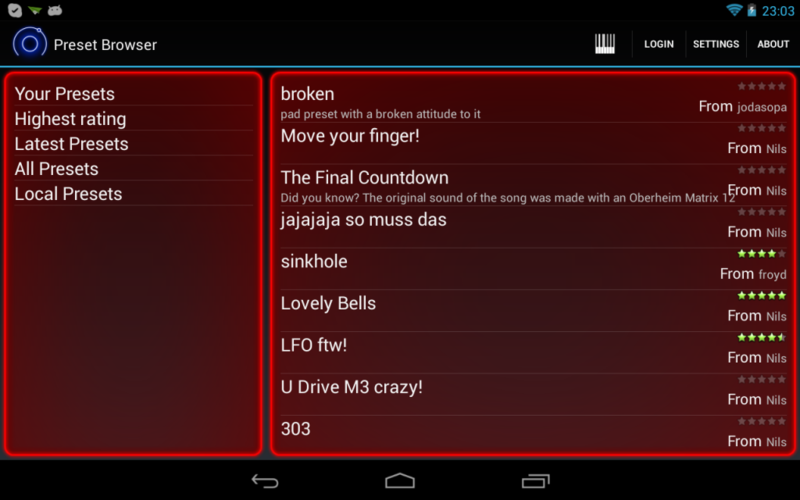 I have played with it now for 20 minutes and it’s certainly one of the more flexible synths out there for android! Will now try the vst version. Love the Idea & the synth, but I can NOT connect it to the VST (64 or 32). the plugins are not found if you maybe mismatched Demo VS Pro versions, meaning that you run the Demo of the Android App and the Pro version of the VST or vice versa. Also take care on your firewall settings, as the plugins won’t be found if the Firewall on the host system blocks access to them. The app is true eye candy and very handy dandy! Keep on the good work… Respect! 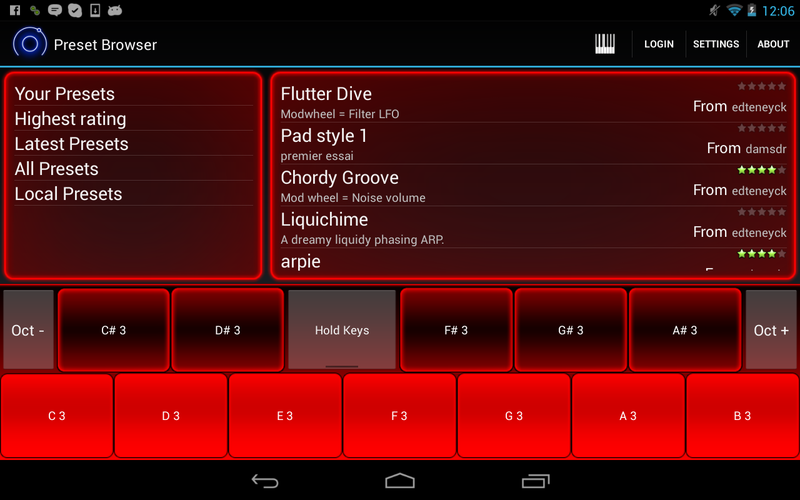 now if we could only connect a keyboard controller to the nexus 7/10 that would be great. Is there any possibility of a native Linux port of the VST to run in Renoise…etc? I’d be more than willing to alpha/beta test a Linux build. This is definitely the best music app i have found on android so far. Is there a manual? I can’t seem to find one in the app or on this site. Keep up the good work, this is a lot of fun! Please add a usb host midi interface so we can play the synth with a real keyboard. I love the sounds and the flexibility of heat! cool app though i got some questions..
parameters on my tablet….for hours…..very good sound in my palm by the way…but only there…could be nice to be able to use and programm it in my daw..could replace my midi keayboard if it workes somehow..